Today I'm excited to share my second "empties" video! If you saw my first "empties" or have been here before, then you know that I try to use something up completely before either replacing it with something new or repurchasing the same item again. For this reason, it can take me a little bit of time to work through products and these are things I've been hanging onto since my last video last year. I have a mix of everything including hair care, skin care and makeup with some all-time favorites, some misses and everything in between. You can see more below and like always, thanks so much for stopping by! First, let's start with hair since it's the smallest category in the bunch. 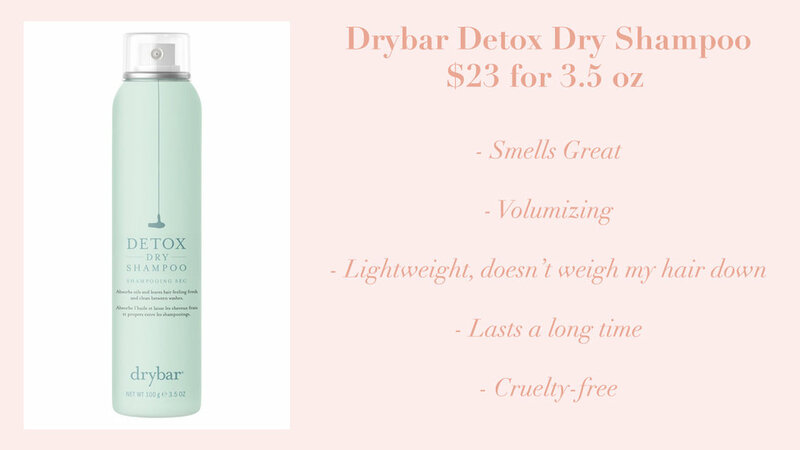 I've raved about the Drybar Detox Dry Shampoo before, and it is still my favorite dry shampoo to date. I'm currently trying out a new one that I really like though so stay tuned for that! What I love about this one is the refreshing but not offensive smell and how it instantly volumizes my second day hair. Plus, it doesn't make my hair feel gritty or weighed down at all and it's cruelty-free. Win, win, win! 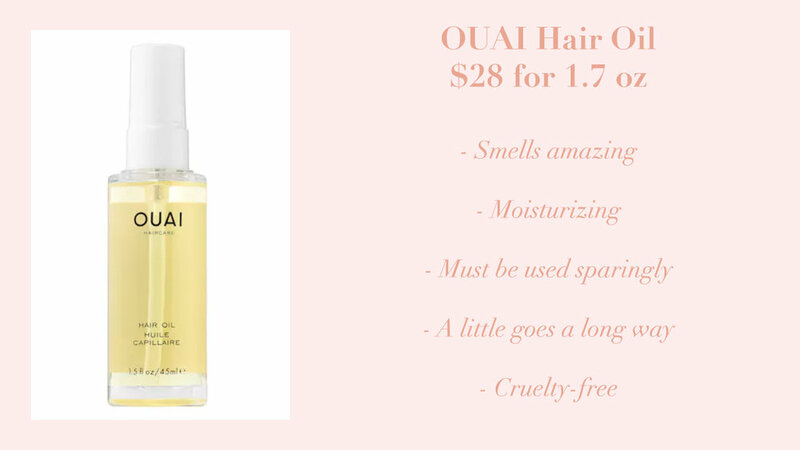 Next up is the Ouai Hair Oil. I LOVE this hair oil and already have two full-sized bottles and another sample size that I got as a gift with purchase recently. Since trying Moroccanoil years ago and seeing an immediately improvement in my hair, hair oils have been a staple in my routine. What I love about this one is that it smells fantastic, really helps to cut down on frizz (when used sparingly) and helps to subtle define my natural waves without feeling greasy or heavy. Now let's move onto makeup. I have quite a few products to share in this category because I really love cosmetics. With a few very rare exceptions, I like to bounce around as much as possible and am always trying new things. If I repurchase a makeup item it's because I REALLY LOVE IT! 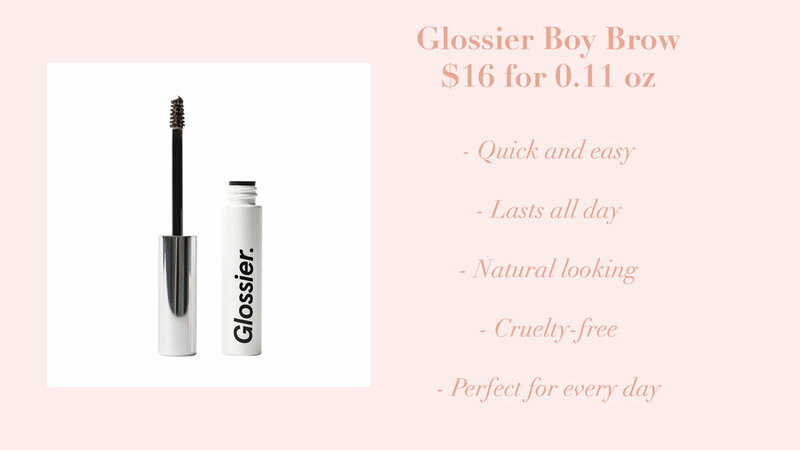 Speaking of really loving something, Glossier Boy Brow is one of my favorite one and done brow products on the market. I love how easily it shapes and defines my brows in a matter of seconds and for me, it's a great every day product. Just keep in mind that if you love a really bold brow, or you have thin brows or have a lot of sparse patches you may not like this because it's very subtle. Next up is a mascara that I'm crazy about but have not repurchased simply because I love to try new things. The L'Oreal Voluminous Lash Paradise Mascara is great for defining, separating and lengthening my lashes. It's incredibly black which is great for someone with black hair like me, and it never smudged on me. Plus, it didn't leave my lashes feeling stiff or crunchy and was easy to take off at night. The only negative is that it isn't cruelty-free but this mascara is and many people think they're similar. Last in the makeup department is a product that I really tried to love but just didn't in the end. 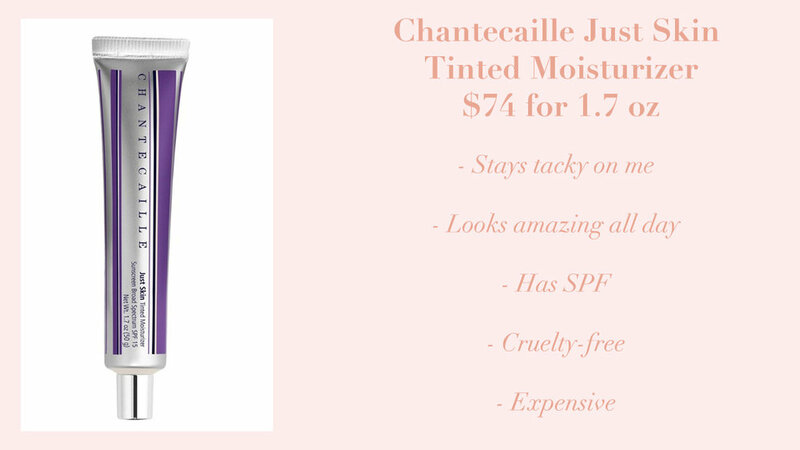 The Chantecaille Just Skin Tinted Moisturizer in the shade "glow" is such a lovely tinted moisturizer but on me it never full "set" and always felt a little sticky and wet to the touch - something that I can't stand. As you know, I love mineral powder and lightweight tinted moisturizers that feel invisible on the skin and unfortunately this didn't give me the effect I like. It's such a shame too because the shade was a great match for my light to medium olive skin with some yellow in it. Next up is skin and the first two products in this category are Biologique Recherche Lotion P50 W and Lotion P50. Each of these toners have improved my skin like no other and I can't recommend them enough. I started with P50 W which is better for your first go at the P50 range and then graduated up to regular P50 and both have caused an improvement in my skin's texture, tone and hyperpigmentation. I love them and have gone through one P50 W, 1 trial size Lotion P50 and one regular sized Lotion P50. I'm almost done with my second full-size P50 and have just purchased the P50 1970. Since discovering the DHC Deep Cleansing Oil, I've gone through two full sized bottles and one travel size and I don't know how I lived without it before. Every day I oil cleanse with the DHC before regular cleansing and it has reduced my occassional breakouts, helped to balance my skin and leaves me feeling hydrated. Plus, it never dries out my skin and removes my makeup effortlessly at the end of the day. It's a great product and in my opinion one of the most underrated skin care products on the market. My last empty is Vintner's Daughter Active Botanical Serum. This beautiful product is incredibly expensive and incredibly worth it for me. I love how it makes my skin look and feel and I notice an improvement in my skin within a week of use which is pretty incredible for a skin care product. Plus, it smells amazing, eliminates the need for another moisturizer and helps me use less makeup because my skin looks that good. It's an expense that I'm willing to make room for and I'm happy to skimp in other areas of my beauty routines in order to have this product.